When I first heard someone say they were feeding kelp to their animals, I thought they were kidding. As with anything new, I began researching what exactly kelp was and if it would benefit any of my animals. From my research online I found out that Kelp is actually large seaweeds. It is full of nutrients that can benefit not only our health but the health of our animals including dogs and cats. It is said to help prevent disease and boost immune systems with its good-for-you nutrients. Disclaimer: In accordance with FDA guidelines, the information and products offered or suggested on this website are not intended to diagnose, treat, cure, or prevent any disease. Please make sure your veterinarian is aware of any vitamins or minerals you are giving your animals. I always like to go a step further before trying anything new, so I asked my fellow local goat people and my chicken friends what they thought. It was about half and half as to the knowledge and use of kelp. It may be no surprise to know that my more organic homesteading friends all know and widely use kelp with all of their animals. My next step was finding it. Luckily I was able to find Thorvin Organic Kelp at my local feed store although you can find it online at several reputable sites if your feed store does not carry it. By adding Kelp to your feeding regime you will be giving your animals and their immune systems a boost which will, in turn, keep frequent health issues from popping up again and again. No, it is not cheap, but as with anything you need to decide what is worth the cost. For me preventing disease and health issues of any kind is more of an investment rather than an expense. Check your homestead budget to be sure you can justify and handle the added cost before diving in. 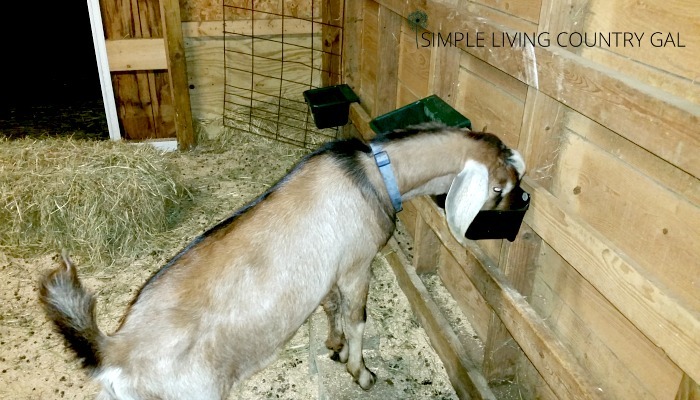 How to feed Kelp to your goats. This information is from Thorvin’s website and the brand of kelp that I feed to my animals. Cattle, sheep, and goats tend to self-regulate free-choice consumption of Thorvin to levels consistent with recommended rates. In some cases, animals will consume larger than normal quantities, but this binge typically only lasts 30-60 days, depending on the animal’s mineral status. If higher consumption continues beyond 60 days, mix Thorvin with salt, one-to-one, to reduce intake, and consult your nutritionist. When feeding Thorvin free-choice, provide one covered mineral feeder for every 25-30 cows and every 40-50 sheep or goats. Also, make sure animals have access to salt and clean water. Since kelp is a mineral I prefer to feed it free choice. 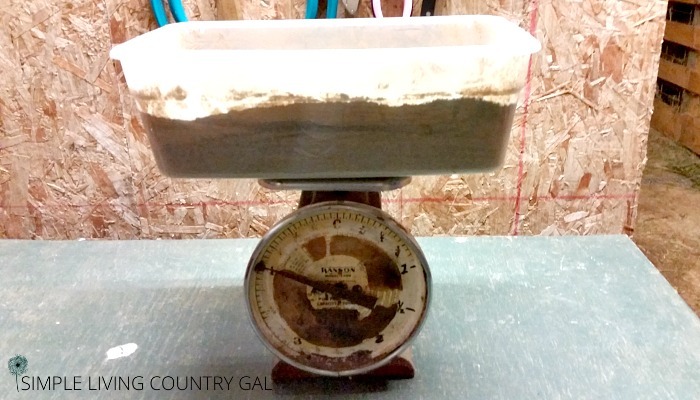 I fill my goats mineral feeders daily at about 1/2 cup per goat. More often then not the kelp is finished up that day, but there are times the feeders still have kelp in them. I simply add fresh to the old. If you find your animals are cleaning things up, you may want to clean out your mineral feeders every week or so to make sure things stay fresh and free of debris. For my newer animals owners, free choice simply means that…..free choice. 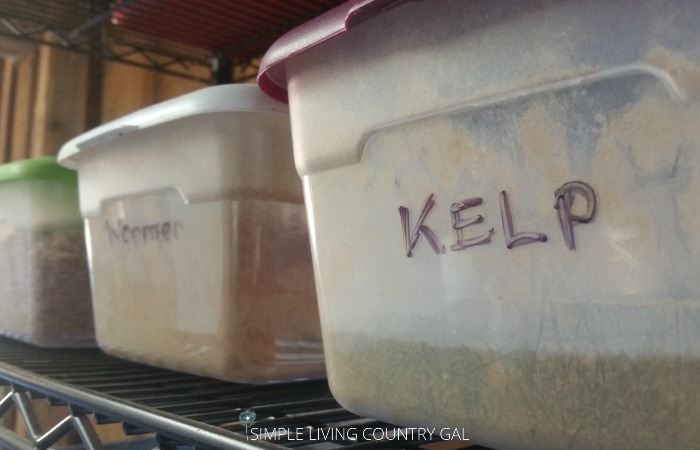 You leave out salts and minerals such as Kelp for your animals and they will instinctively know if they are lacking and need the additive or not. It is really quite amazing when you think about it. To take things one step further I will also add Dr. Thorvin’s Vitalerbs to the kelp. My good friend Kristie from Land of Havolah Farms introduced me to Vitalerbs and I have to say I am in love with this product! Although it is not necessary to add Vitalerbs to your kelp, the boost it gives is at least noticeable in my small herd. According to Kristie’s website, Vitalerbs is naturally balanced, whole food vitamin and mineral supplement. This formula is an excellent source of organic vitamins and minerals that are easy to assimilate because they are whole foods. The Vitalerbs formula is safe for all ages and may be taken during pregnancy or nursing. I simply mix 1/8 of a cup Vitalerbs into 16oz of Thorvin Kelp. This mixture is given free choice to my animals every day or so. I have this great old scale I found at a yard sale, and I measure out about 4lbs of Kelp. I then mix in 1/2 cup of Vitalerbs. Tip: You may want to hold your breath at this point, those Vitalerbs are a bit dusty! 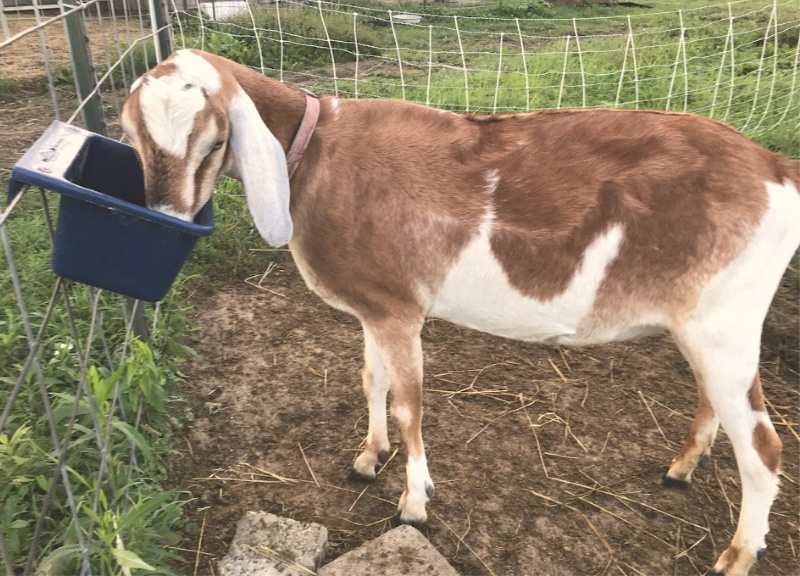 Since I have begun using the kelp/Vitalerb mixture in my herd I have found an increase in body condition and much fewer worm outbreaks and overall health issues. To be honest I don’t always mix the Vitalerbs with the kelp. Sometimes I am lucky to get them kelp on a daily basis. The Vitalerbs is a boost I like to give but not required. You can feed the kelp plain and still find many and lasting benefits in your herd. Feeding Kelp to your chickens. With my chickens, I do not mix in the Vitalerbs. I just feed kelp and I do it in two different ways. 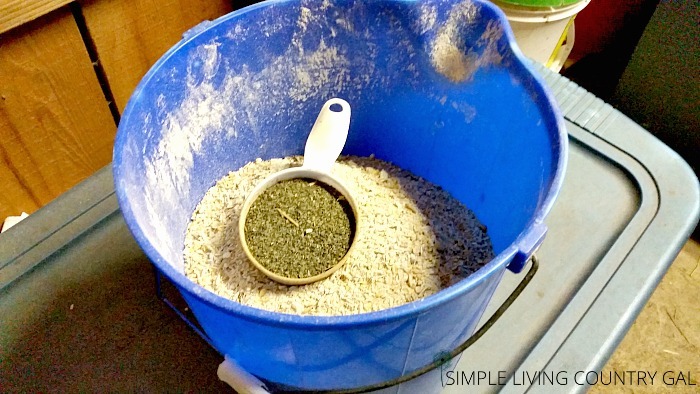 One way is I sprinkle kelp onto my chicken’s feed twice a week. My chicken kelp days are Thursday and Sunday. The other way is I will leave it out free choice as I do with my goats. My chickens will either devour it or leave it alone. There is really no rhyme or reason to this, they either want it that day or they don’t. Excellent source of iodine which helps regulate metabolism. When it comes to raising livestock on your homestead how you approach things is up to you. When I first started out I raised my animals with little health support and treated diseases as they came up. My medicinal cabinet was beyond full and worth a small fortune. Since I have begun supporting my animal’s health with herbs, minerals and vitamins things have changed dramatically. I have only a very small handful of medicines on hand and my cost ratio per animal for veterinarian services is almost non-existent. Worm outbreaks have diminished significantly and very rarely if ever am I forced to treat outbreaks with chemical wormers. Touch your animals, listen to them, and watch them every single day for clues and you will more often than not catch things before they get out of hand. 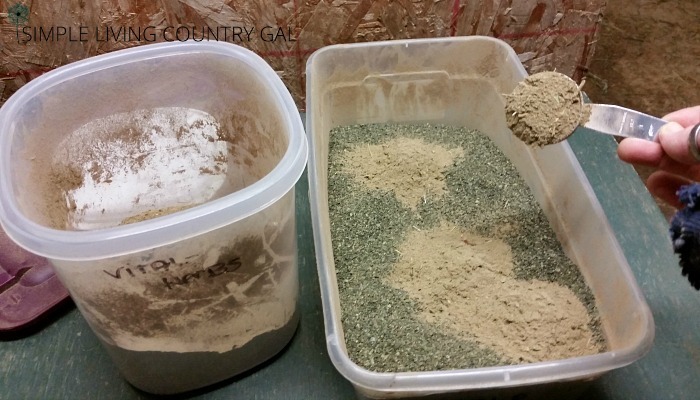 When you catch issues early on you can usually treat them with a minor adjustment in feed or mineral/herbal care. Waiting for full-blown issues is just asking for trouble. Do your research, ask a ton of questions and call your vet or goat friends for tips and advice. Nothing will keep your animals healthier than education and preventative care. Remember: It is always a good idea to keep your vet informed of all supplements fed to your animals.